WEST COVINA >> Authorities have identified a 62-year-old woman who was found dead inside her West Covina townhome following a fire on Tuesday morning. Grace Han Wu was pronounced dead at the scene of the fire, which broke out just after 7 a.m. in the 1300 block of East Parkside Circle, according to Los Angeles County Department of Medical Examiner-Coroner Assistant Chief of Operations Ed Winter. A second person escaped from the burning home unharmed, Assistant Fire Chief Brian McDermott said. The fire caused an estimated $100,000 in damage to Wu’s home and minor damage to two adjacent units, Fire Chief Larry Whithorn said. West Covina firefighters, who were aided by Los Angeles County Fire Department firefighters, extinguished the flames within 30 minutes, officials said. Once the fire was out, officials discovered Wu’s body, West Covina police spokesman Rudy Lopez said. 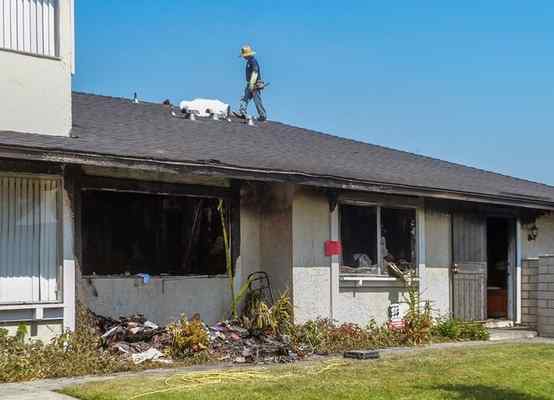 Her cause of death remained under investigation by coroner’s officials, while the cause of the fire was being investigated by the West Covina Fire Department and Los Angeles County Sheriff’s Department arson investigators. EL MONTE >> Three people suffered apparently minor injuries after a small airplane crash-landed in a wash next to the San Gabriel Valley Airport in El Monte on Friday night, officials said. The incident was first reported at 8:16 p.m., El Monte police Lt. Ben Lowry said. 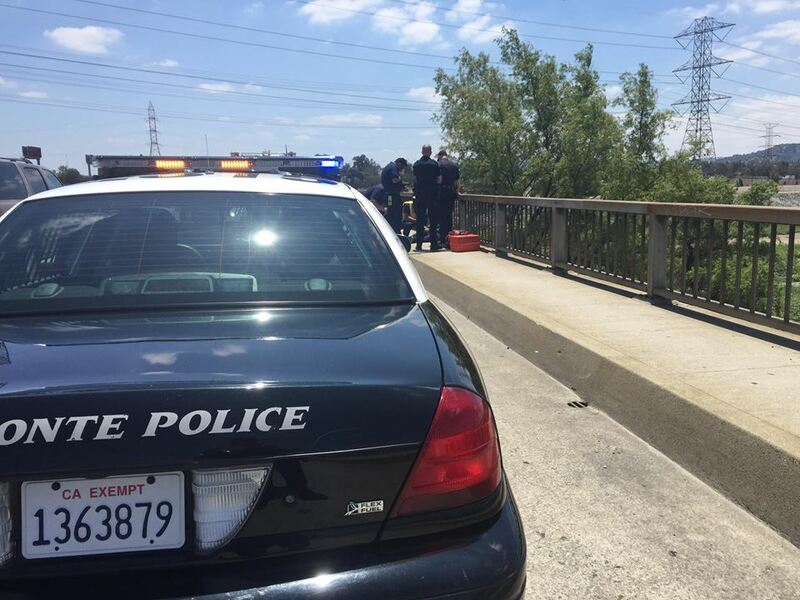 A small airplane went down in a wash alongside the Rio Hondo River just west of the airport, Los Angeles County Fire Department Capt. Ron Haralson said. Three patients were treated for injuries described as minor, the captain said. There were no initial reports of any fire involved with the incident. FAA spokesman Ian Gregor said the aircraft had been described as a Cessna C175, and had “crashed off airport under unknown circumstances.” The FAA and National Transportation Safety Board were investigating. Federal Aviation Administration records showed the tail number painted on the aircraft belonged to a single-engine Cessna 175, manufactured in 1959, with a valid flight status through November of 2019 and a registered owner based in Montebello. WEST WHITTIER >> A masked man made off with several hundred dollars after holding up a West Whittier motel clerk at gunpoint, officials said. The crime unfolded about 9:45 a.m. at Motel 6, 8211 Pioneer Blvd., in the unincorporated county area, Los Angeles County sheriff’s Sgt. William Morris said. The robber entered the office of the motel, brandished a handgun and demanded money from a man working behind the counter, the sergeant said. After obtaining several hundred dollars, the robber ran from the business and was last seen heading north along Pioneer Boulevard. He was described as a man of unknown race, about 5 feet 9 inches tall, 190 pounds, wearing a ski mask, sunglasses and gloves, Morris said. SAN MARINO >> Two women and a man are facing burglary and child endangerment charges after they were caught in the middle of a San Marino burglary with four young “dirty and unfed” children in tow earlier this week, police said. Police arrested the three suspects and placed the children, between 2 and 6 years old, in the custody of the Los Angeles County Department of Children and Family Services following the alleged break-in, which took place about 1 p.m. Monday in the 2100 block of Oak Knoll Avenue, according to San Marino police Sgt. Tim Tebbetts. A woman first called police to report her car, which was parked inside her locked garage, had been broken into, the sergeant said in a written statement. “The front driver-side window had been smashed and the center console ransacked,” he said. When police arrived, the resident told them a window of the home which she had left closed was now open, and an air conditioning unit that had been shut off was running. Officers used the resident’s key to enter the home, where they encountered two women, a man and four small children, Tebbetts said. “They also recovered jewelry the suspects could not identify as theirs, mail, drug paraphernalia and property from the burglarized vehicle,” Tebbetts said. Police determined one of the arrested women was the mother of three of the children, and the other was the mother of one, Cpl. Brian Wong said. The male suspect was described a one of the women’s boyfriend. Arrested were Norina Ann Lopez, 26, Sereena Anita Lopez, 24, and Randy Fernando Andrade, 26, all of Long Beach, according to police and Los Angeles County booking records. Norina Lopez has pleaded not guilty to one charge of burglary and three charges of child endangerment, while Sereena Lopez has denied one count of burglary and one charge of child endangerment, and Andrade had pleaded not guilty to one count of burglary and two counts of child endangerment, Los Angeles County Superior Court records show. All three are scheduled to appear for hearings on June 13 in the Alhambra courthouse. The suspects were being held in lieu of $330,000 bail, $150,000 bail and $80,000 bail, respectively. Anyone with information regarding the investigation is asked to contact San Marino police Detective Patrice Garcia at 626-300-0726. Tips may also be submitted anonymously to L.A. Regional Crime Stoppers at 800-222-8477.